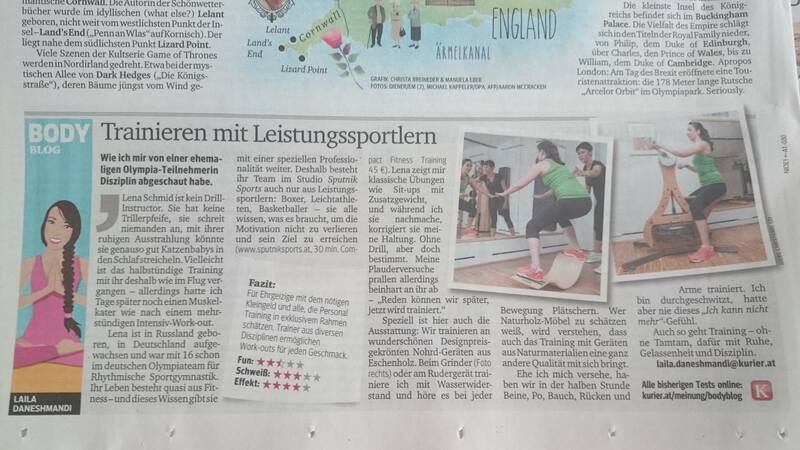 Zeit für ein grosses Lob ans Team Sputnik Sports, bin jetzt schon einige Monate bei euch trainieren und fühl mich sehr wohl. Und das wichtigste die Kilos purzeln!!! Besonders mag ich die freundschaftliche Atmosphäre, und soweit ich das beurteilen kann, weiss bei euch jeder was er tut Ich jedenfalls komm gern weiter zu euch, und wenn mich wer fragt und nicht in ein Studio mit Massenabfertigung will, schick ich ihn auf jeden fall zu euch. 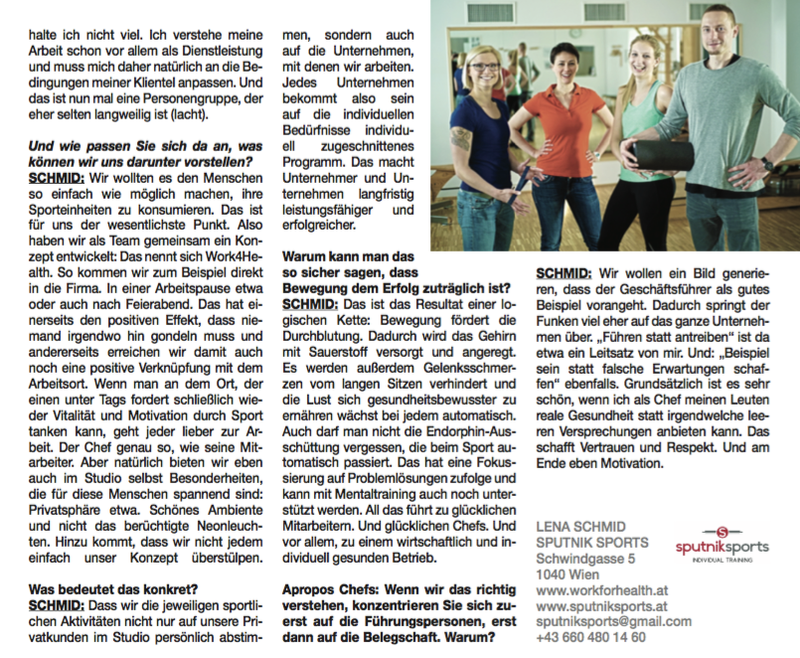 Tolle Beratung, individuelles Training, professionelle Trainer => my place to be for training! I was working in Vienna for an extended period of time and I do not speak German so I was very much in need of a place to do yoga and exercise classes where the instructors spoke in English. I was overjoyed to find Sputnik Sports. Their yoga classes are small and the instructor spoke both English and German and was very understanding of my situation. I also tried their small personal training services and was very impressed.The instructor was patient but firm and I received an amazing and efficient workout. I was pushed to my limits but not beyond and, because all classes are small, I was able to exercise in a non-judgmental and friendly environment. I highly recommend SputnikSports for those looking for an excellent workout with instructors who will work to truly understand your exercise needs and goals. I cannot wait to come back to Vienna to take more classes here. I started training at Sputnik Sports in mid 2013 due to being overweight. Four months later I lost 15 kilograms and was in the best shape I have been in ten years. Twice a week specialized circuit training was all it took, together with a strict diet. 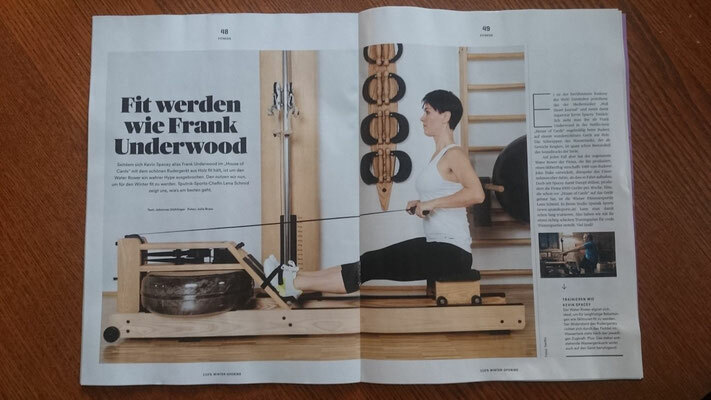 Lena Schmid’s is a true specialist in fitness and her training was balanced and aimed at my weaknesses. She gave me a good sweat but she also understood my limits. I was particularly reluctant to engage in personal training due to feeling severe muscle pain the next day. It happened again and again when I trained in other places. This never occurred while I was training with Lena, as we were doing extensive stretching after each session. I would recommend Sputnik Sports to anybody who is serious about getting and staying in shape. Thank you, Lena! I was vacationing in Vienna but didn’t want to lose my workout routine so I was very much in need of a place to work out. A friend recommended sputniksports. I was incredibly impressed with SputnikSports. The instructor spoke both English and German and was very understanding of my situation. I used their small personal training services and was very impressed. The instructor was patient but challenging and I received an amazing and efficient workout. I was pushed to my limits but not beyond. The personal trainer created a perfect environment for me; non-judgmental, friendly and challenging environment. I not only stayed in shape, I got in better shape and will take the exercises I learned back home and implement them into my work out routines. I highly recommend SputnikSports for those looking for an excellent workout with instructors who will understand your work out goals and challenge you to grow. I am sad to have to leave sputniksports but thankful for all they have done for me!